This past Memorial Day weekend, we headed to Maine’s Acadia region for some “down east” camping. 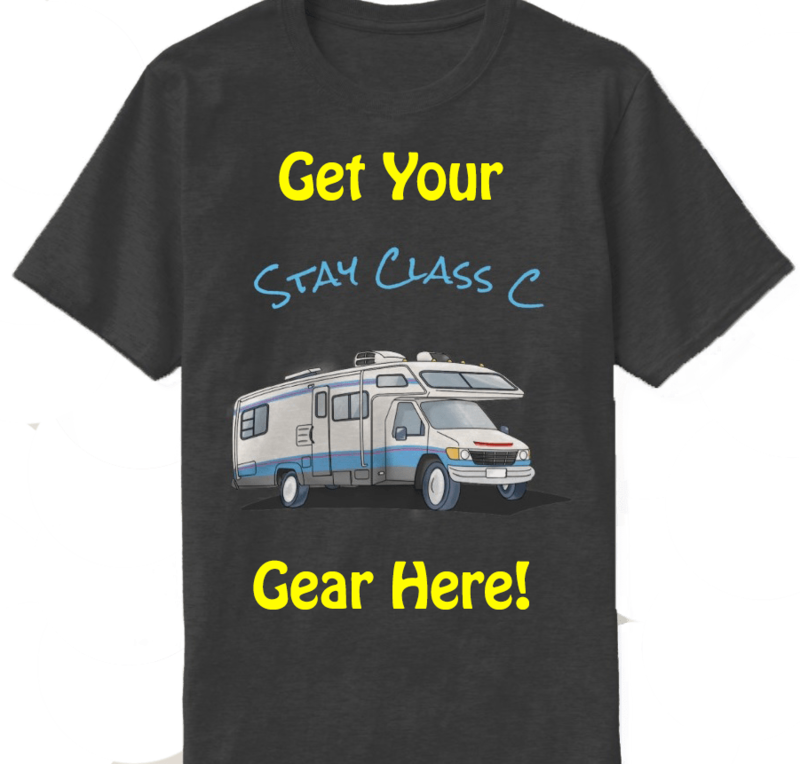 We chose Pleasant Hill Campground in Hermon, Maine and spent a day each in Bangor and beautiful Bar Harbor. 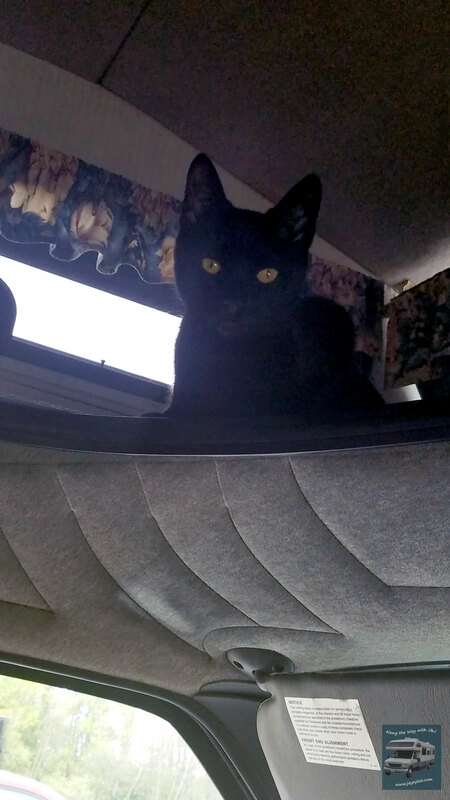 This was Paris’ first camping trip and we created a fun little space for her in Lady T’s bunk area. We were a bit nervous about how she would handle the four-hour drive, but after some initial excitement and a few attempts at helping Jay drive, she settled down and slept until we were almost at the campground. Also, this was our first time officially towing Inky. In May, we had a Furrion Wireless RV Observation System installed to help us keep an eye on things from behind and we absolutely love it! Check back soon for an official review video. Pleasant Hill Campground was clean and relatively quiet, and we were assigned a nice site with plenty of space for Paris to play. We didn’t explore the campground too much because it was raining when we arrived, but the office staff was friendly and we liked that the park was only 20 minutes from Bangor. Bangor is a small city on the Penobscot River, with a rich history in the lumbering industry. Today, it is perhaps best known for its most famous resident, writer Stephen King. 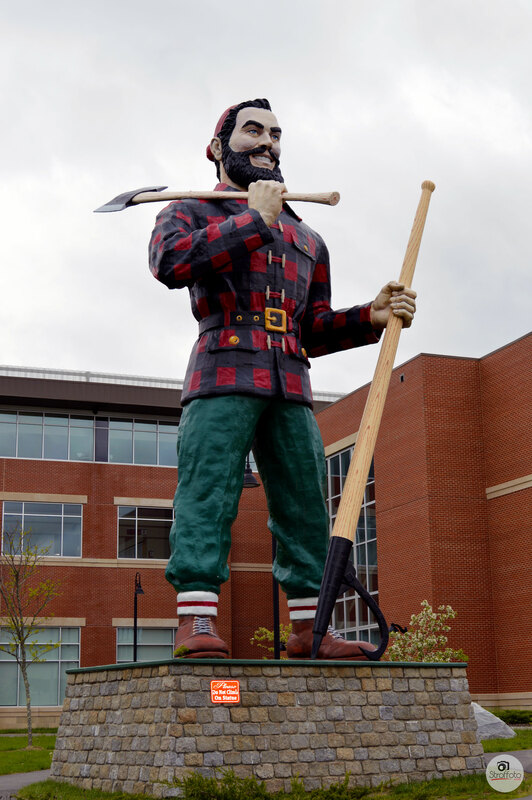 Bangor also claims to be the birthplace of the over sized lumberjack, Paul Bunyan, who is commemorated with a 31 foot tall statue that looms over downtown Bangor. I’m a lifelong Stephen King fan, so the first place we visited was his Victorian mansion on Broadway Street. There are many such houses in Bangor, built by the lumber barons in the late 1800’s, and with the exception of a few people taking pictures outside the spider webbed front gate, you wouldn’t know a famous person lived here. I doubt Mr. King spends much time at home, but it was still fun to visit! We also checked out The Rock and Art Shop in downtown Bangor, which sells all kinds of rock and mineral specimens and other unique items. The following day, we visited Bar Harbor, home to one the top 10 most visited national parks in the country. Situated on Mount Desert Island, Acadia National Park is truly one of the most beautiful natural spaces in the U.S., and it’s visited by upwards of three million people a year. We didn’t have time to visit the park on this trip, but we enjoyed strolling in downtown Bar Harbor and had a delicious homemade frozen treat at C.J.’s Big Dipper. Check out the pics below!